Avid's Media Composer First is finally here if you're an aspiring pro or want to cut like one. 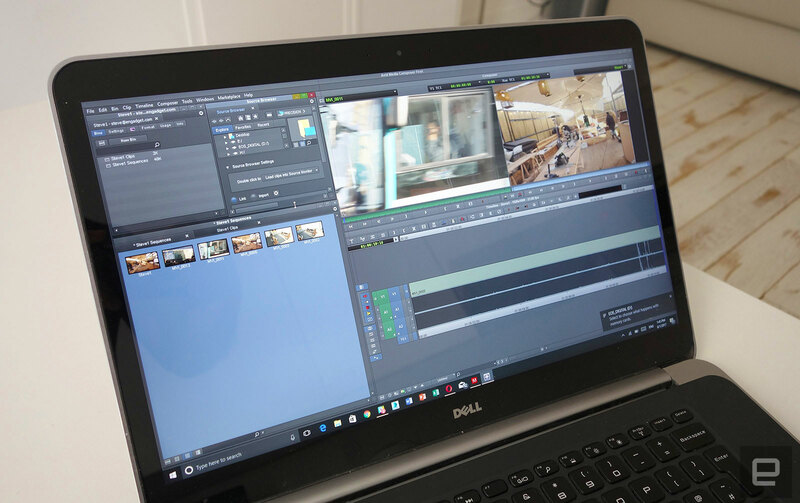 If you're serious about video editing and are weighing up your software options, two choices usually pop up: Adobe Premiere Pro CC and Final Cut Pro X (FCPX). But Avid, Hollywood's go-to editing company, just played a wild card by releasing Media Composer First, a limited version of its pro software, for the hard-to-resist price of "free." I'm well-acquainted with Avid and have used Premiere Pro and Final Cut Pro since they launched. I was excited to try out MC First to figure out if I'd recommend it, and the answer is a qualified yes -- I like it, but it's not for everyone. Avid's Media Composer was the first widely-used "nonlinear" editing system that let you make video edits instantly and nondestructively. To suit its original feature-film and TV market, Avid developed it to be fast for cutting and allow for powerful footage organization. Nowadays, it's a complete tool for finished effects, color correction, titles and audio, as Avid also owns Pro Tools, the standard for professional audio production. The new free version, Media Composer First, mirrors Avid's expensive software in most ways that count. "We've been showing Media Composer First to Hollywood film and TV editors, and they all asked the same question: 'What isn't in Media Composer First? This works just like my Media Composer,'" Avid's Matt Feury told No Film School. However, it has limitations that could give you pause, especially if you work with high-res video or a lot of video and audio tracks. You've got just five bins, four video tracks and eight audio tracks to work with, and exports are limited to Quicktime H.264 or DNxHD (an Avid format) at 1080p 59.94 fps max -- so no 4K. Almost any type of input footage, including 4K or UltraHD is allowed, however. Some users have also reported that Avid MC First can barely chug along on older computers, so you may have to adjust the settings for your machine. Another annoyance is that you must log into the Avid Application Manager each time you start up your PC. Avid MC First, like Adobe Premiere, is Mac- and PC-agnostic, whereas FCPX requires a Mac. Unlike Premiere Pro CC and FCPX, though, Avid's video editor is not exactly intuitive to learn. 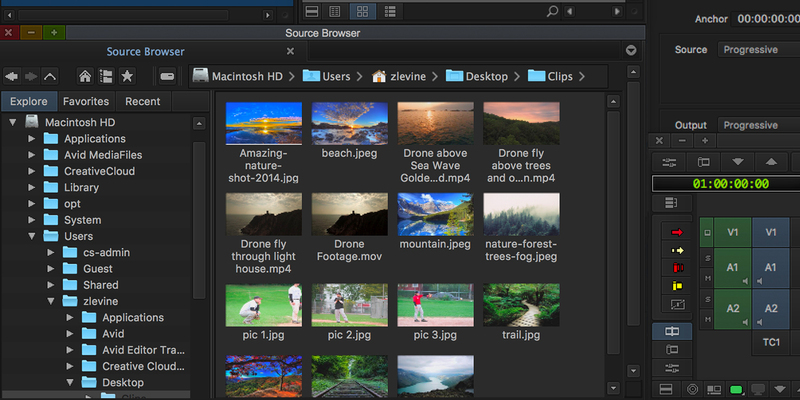 With projects, sequences and bins, the overall workflow is similar to other systems. However, menus are often buried, making it tricky to figure out how to do simple things like rename bins without checking the 1,700-page PDF guide. For instance, I couldn't figure out how to set the project resolution and frame-rate until I realized it's done automatically when you drop your first clip into the timeline. The editing logic is also quite different from Premiere Pro and FCPX (which themselves are much different from each other). On the one hand, you have the drag-and-drop style of Premiere Pro and equally visual "magnetic timeline" of FCPX. Avid, however, leans heavily on keyboard shortcuts and powerful but tricky-to-learn techniques. Those include split edits (editing audio and video separately), match frame cuts and "slipping and sliding" -- a way to quickly adjust the head and tail or position of a clip. One of MC First's strongest point is its bins, which help you organize complex projects with lots of media. While that makes it great for documentaries, TV shows or films, it's overkill for personal, business or YouTube videos. Effects-wise, MC First has nearly everything the big program has. 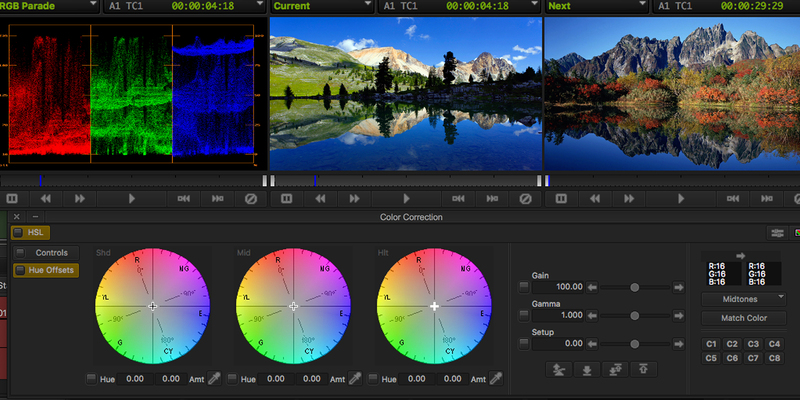 That includes one of the better color correctors out there (Finesse, above), audio tools and effects, time-warp slo-mo control, a stabilizer, multicam editing, titles, plugins and more. However, each of those is missing some settings and features compared to the paid version, unsurprisingly -- for instance, there are no curves or channels available for color correction and no fluid motion time warp, which is a bummer. So who needs this? If you're serious about editing, have lots of footage, and don't need more than four video channels, Avid is worth a try. Once you grasp them, the editing tools make a lot of sense, and it's easier to keep your media organized than with other apps. As it's been on the market for over 20 years, Media Composer also has a reputation for being stable and relatively crash-free. If you're a film student or enthusiast and thinking about becoming a professional film editor, then you really need to consider getting MC First. With few exceptions, most film and television shows are cut on Avid because it can easily handle and share complex video and audio assets and even sync up scenes with lines in a script (the latter option isn't available in MC First). In my estimation, anyone that masters Avid's free editor will have a very short learning curve to the paid app. Learning FCPX and Premiere Pro CC is also nice, but Apple, and to a lesser extent Adobe, aren't really interested in the high-end post-production market, and their apps aren't widely used there. So, only knowing FCPX or Premiere Pro CC won't likely get you a gig editing for Scorcese or Nolan. If the average consumer downloads Avid's MC First, they may get discouraged with the learning curve and give up quickly. That's too bad, because it is a powerful, stable editor. In any case, Avid may not care about mom-and-pop video makers -- instead, it is pursuing serious folks looking at a future film career, in the hopes of not losing future market share to Premiere Pro or Final Cut Pro X. With a free and relatively powerful version of its big software, it should at least grab your attention.